SUNDAY STYLE! Shoes: Atlantic-Pacific X Halogen. 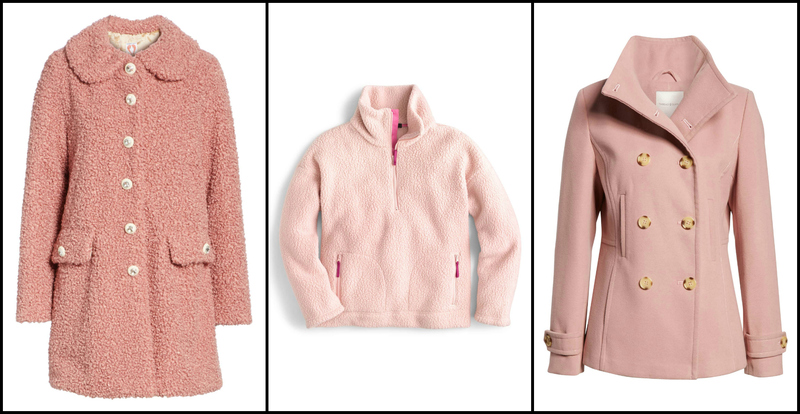 Coat: Kate Spade (30% off with GIVECHEER) I also love faux fur collar coat – for under $60! – that is available in both PINK and LILAC. Sunglasses: Saint Laurent. Pants: Ganni. 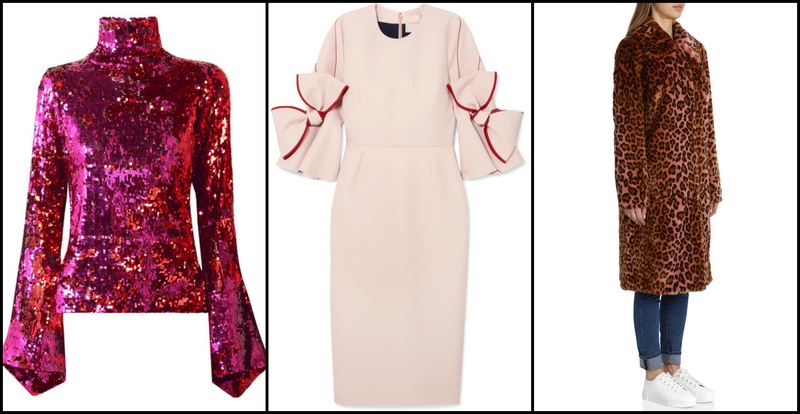 Shop all of my pink sale picks below! 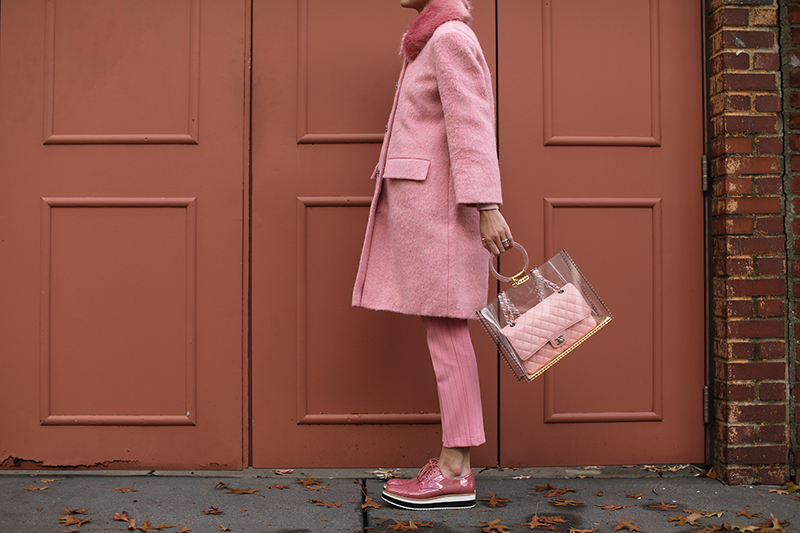 a velvet party bag // the perfect pom pom pump // pink gloves YES! Totally adorable in pink … love ♥️the look! So pretty in pink, Blair! Seriously loving all the pink! So cute!! This is such a pretty cozy look. I love the femininity of a pink monochrome outfit. This is looking awesome, very attractive and classy thank you for sharing this. Wow, fantastic this pink on pink look! FAB look…. i love your style. This is so cute! I love all the pink! It’s a shame it’s not Wednesday lol! where is the PVC bag from that’s holding your chanel? What an amazing look! Love everything about it!